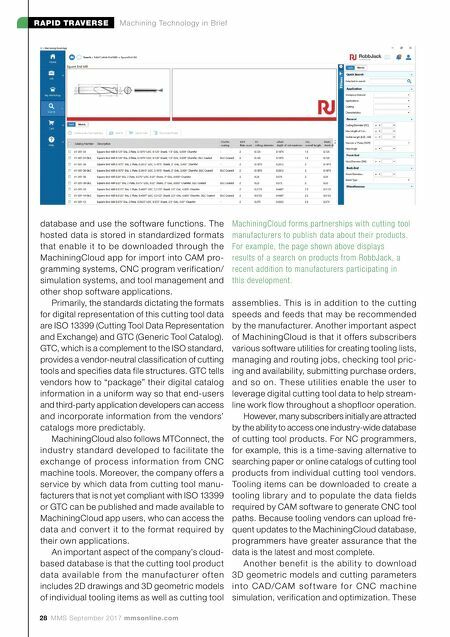 EDM | MILLING | TURNING | LASER | PRESS BRAKE | CONSUMABLES | ADDITIVE | SERVICE Visit MCMachinery.com/Partnership to learn more. Follow us on Twitter @mc_mits MITSUBISHI– TRUSTED BRAND HIGH QUALITY PRODUCTS. 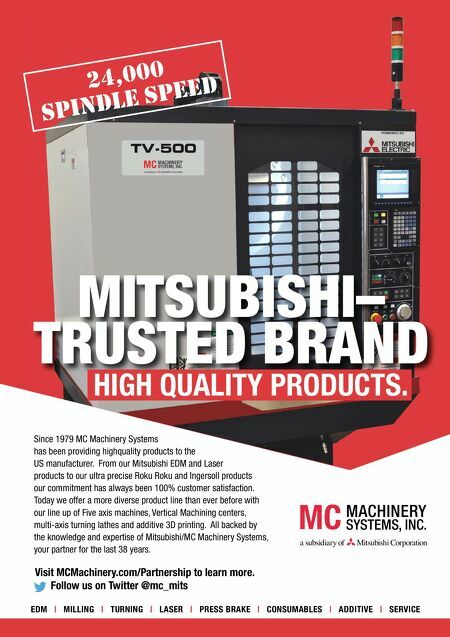 24,000 SPINDLE SPEED Since 1979 MC Machinery Systems has been providing highquality products to the US manufacturer. From our Mitsubishi EDM and Laser products to our ultra precise Roku Roku and Ingersoll products our commitment has always been 100% customer satisfaction. Today we offer a more diverse product line than ever before with our line up of Five axis machines, Vertical Machining centers, multi-axis turning lathes and additive 3D printing. All backed by the knowledge and expertise of Mitsubishi/MC Machinery Systems, your partner for the last 38 years.